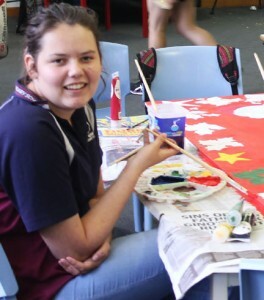 YES Centre students helped prepare artwork for the Santa float in the Port Augusta 2015 Rotary Christmas Pageant. 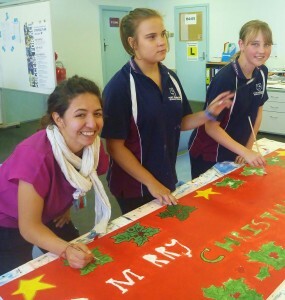 Ms Tabi Franco, Paige and Brit helping to paint a board for the Santa float. Tahlia applying her artistic skills to the float artwork.